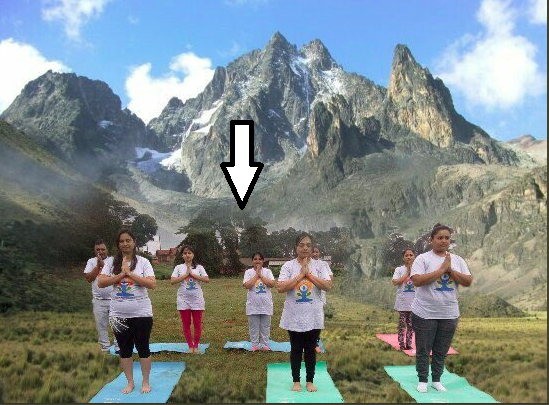 Yoga session at the foothills of Mount Kenya would have been grand if only the image was not photoshopped. 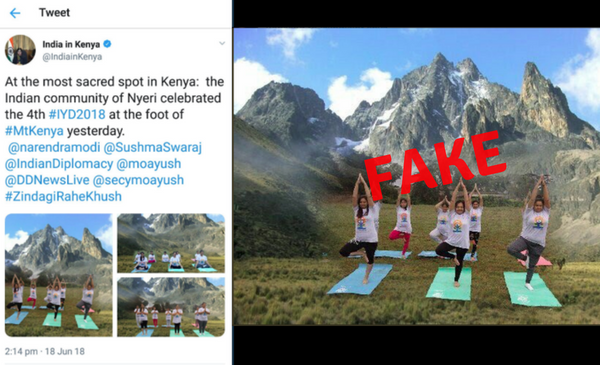 Twitter users called out the Indian High Commission in Kenya for sharing a photoshopped image of people performing yoga at the foothills of Mount Kenya. 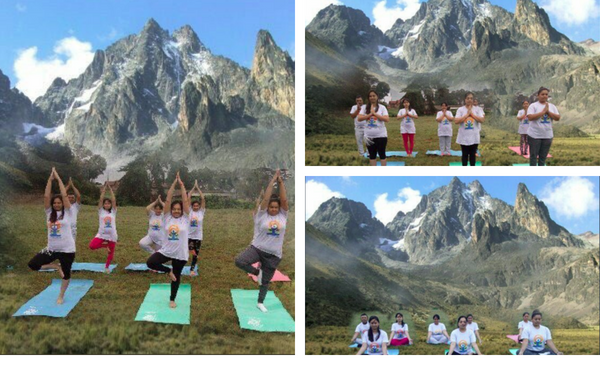 However, the image of Mount Kenya seen in the background can be found on Google images as seen below. Mount Kenya is the second highest mountain in Africa and a UNESCO World heritage site. A comparison of the image available on Google and the ones tweeted by @IndiainKenya shows that the cloud pattern behind the range is the exactly the same as that in the Google image. Moreover the first two images have been further manipulated to add trees and houses in the valley. Twitter users were quick to point out the gaffe. 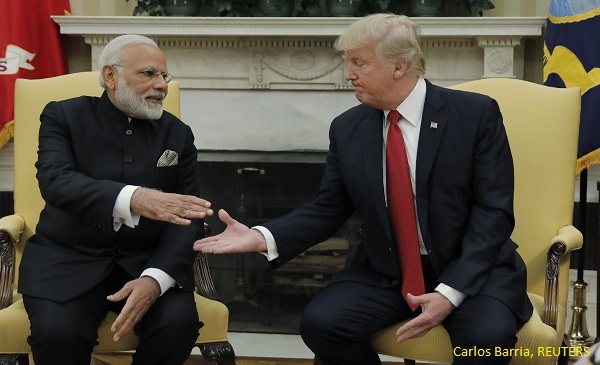 After being called out by Twitter users, the High Commission tweeted an apology and said that the image was sent by a community member. 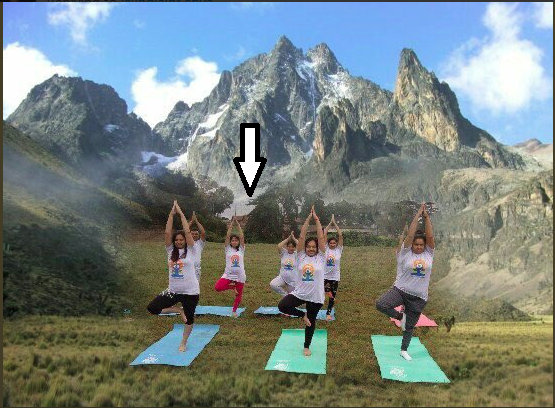 We apologise for sharing an unverified/ edited photo of Yoga at the foot of Mt Kenya, which was sent to us by a community member. 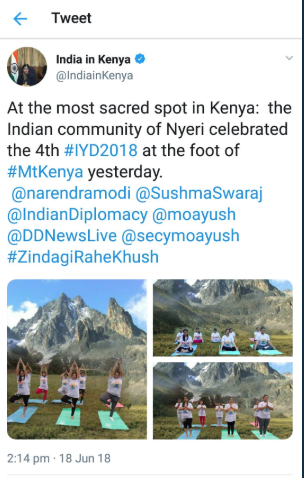 In connection to the 4th International Yoga Day on June 21, 2018, Indian missions are tweeting photos of yoga sessions organized in respective countries. The United Nations proclaimed June 21 as International Day of Yoga in December 2014 with an aim to promote awareness of the benefits of practicing yoga. The theme for 2018 celebration is ‘Yoga for Peace’.